Strict installation standards in NT require system components that can withstand the harsh environment of the Northern Territory. Energy Matters has partnered with the best local installers in Darwin and throughout the Northern Territory to provide you access to quality NT solar products and great prices. Our partners will be in contact with you after you submit for a quote to answer any questions you may have, organise a site inspection and system design. Renewable energy certificates are available with solar power systems installed in Darwin and elsewhere in the Territory. Their value varies with market conditions and the total amount is also based on how much your solar panel system can produce. 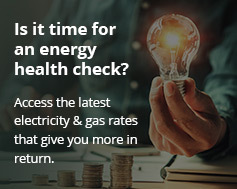 Rather than have to ‘cash in’ these certificates yourself and risk poor returns, Energy Matters offers a set value as a point of sale discount. The Northern Territory feed in tariff is 1-for-1; meaning whatever you pay for electricity is what you’ll receive for your generation. This translates to a very healthy return on your solar investment. For example, a good quality 5kW system installed in Darwin can generate in excess of $1,700 in financial benefit annually, based on based on 25c per kilowatt hour electricity price and 25c feed in tariff with 50% feed in rate. Between June 2007 and June 2012, electricity prices in Darwin jumped 42%. There was a further 20 per cent increase on January 1, 2013. There was an additional five per cent increase in 2014 and another five per cent in 2015. Recent power price rises have hit Northern Territory households hard. By installing solar panels in Darwin, generous feed in tariffs coupled with solid solar equipment from Energy Matters will allow you to reap the benefits of a substantially reduced electricity bill; buffer against further price rises, help support the local solar industry and also reduce your household’s carbon emissions.